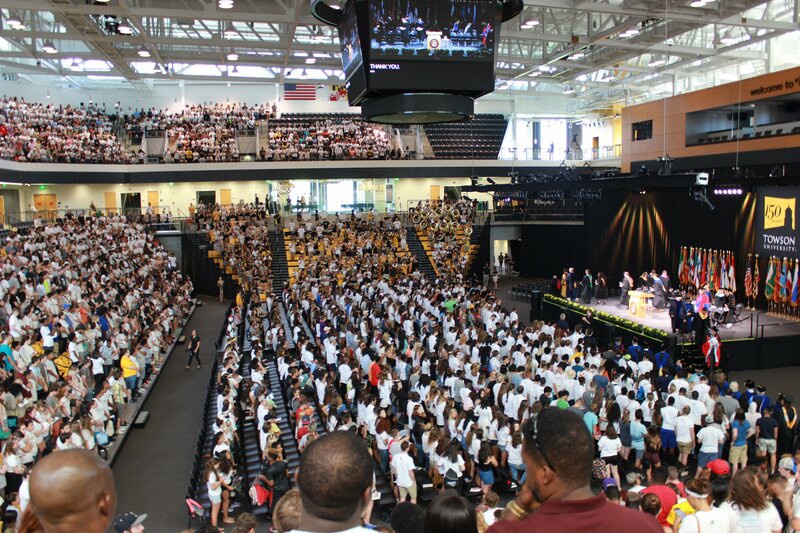 Those filled SECU arena to celebrate their class and all they would achieve on Friday, Aug. 26 for their convocation. 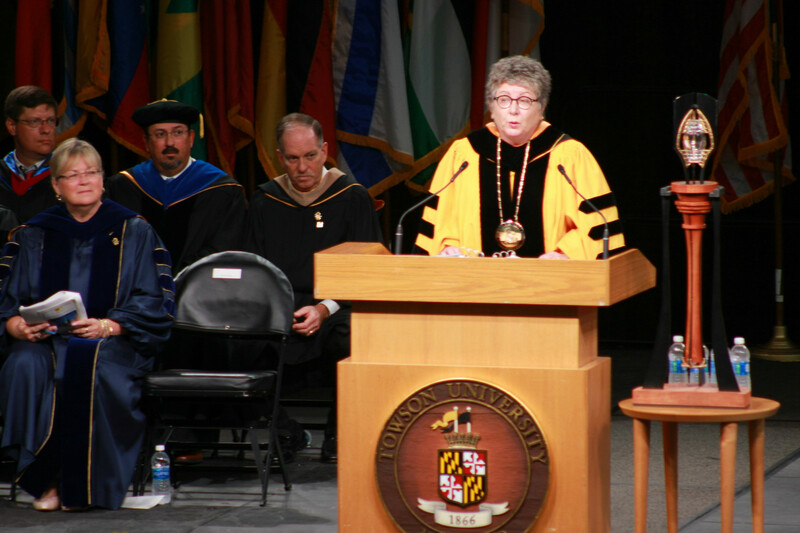 When Provost Tim Chandler took the stage in SECU, he reminded students that, now that they’re in college, they’re responsible for their lives. Towson President Kim Schatzel at convocation.